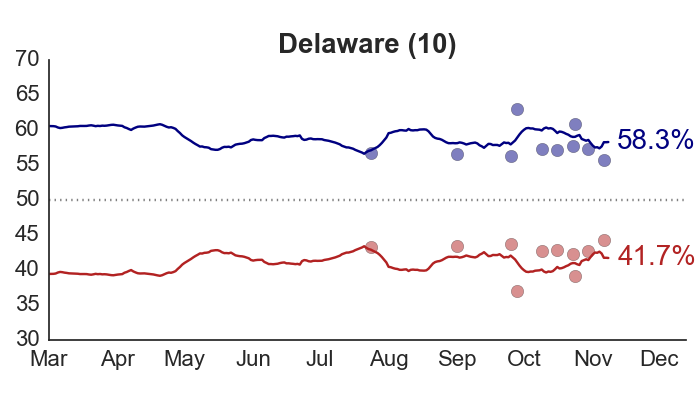 The BEA released their first estimate of Q2 GDP growth today: 1.5%. 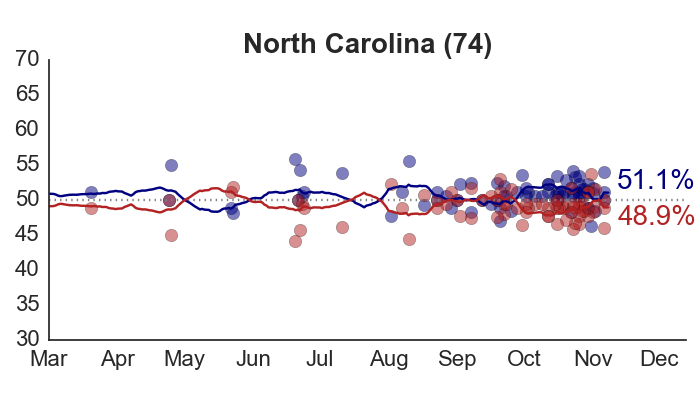 This has been the key piece of missing information for the structural forecast I use as the starting point for my model. 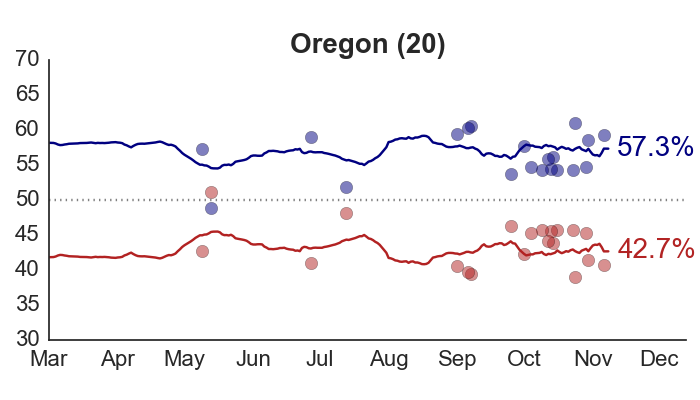 Until now, I’ve been relying on the Q1 growth rate, which is less strongly correlated with the election outcome. 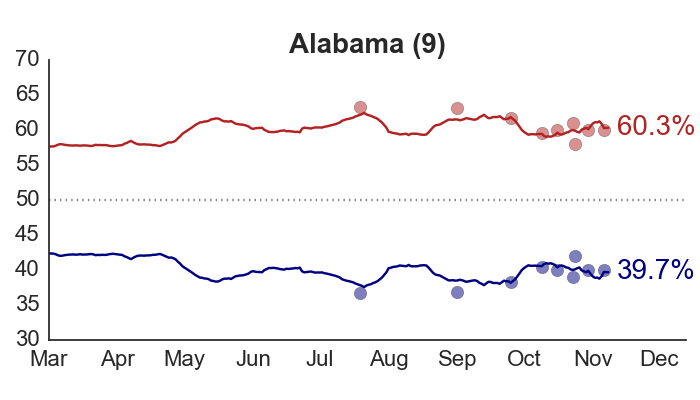 Starting with the next site update (either today or tomorrow), I will switch over to the model based on Q2 growth. 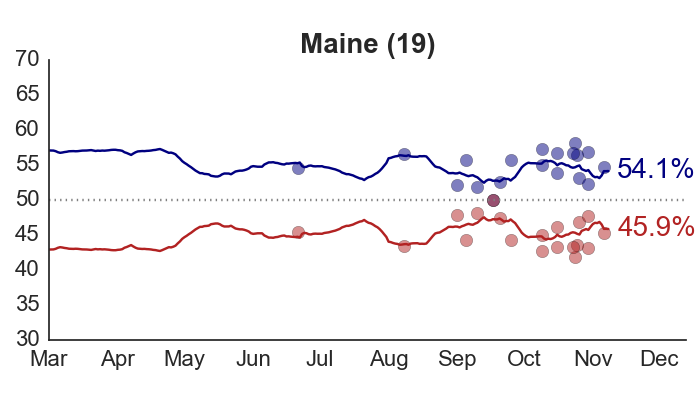 It’s helpful to have this new data point, but don’t expect a huge adjustment to the forecast. 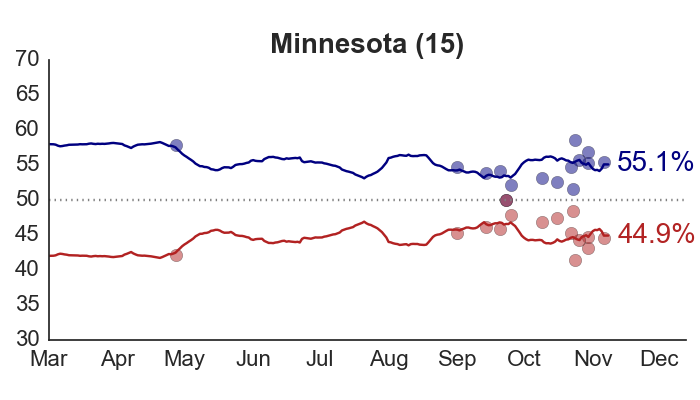 The Time-for-Change model using Q1 growth predicted that Obama would receive 52.6% of the two-party vote. 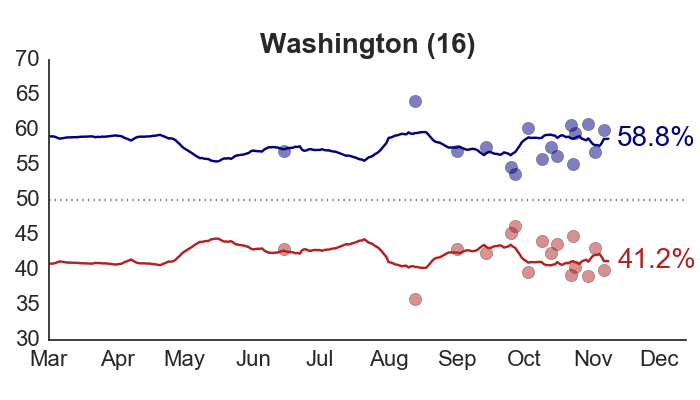 With Q2 growth coming in at 1.5%, the baseline forecast falls all the way to… 52.3%. 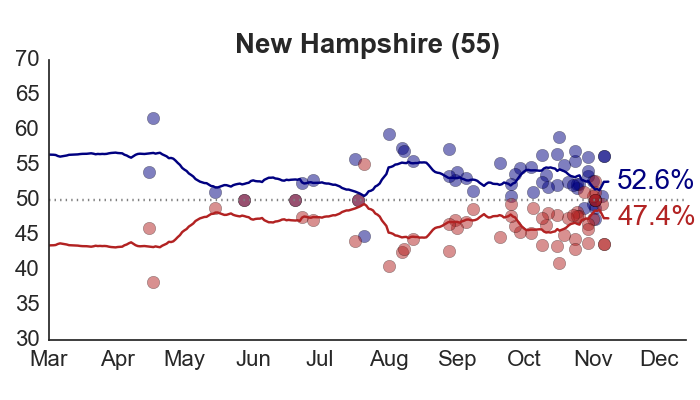 And this is before factoring in any adjustments from current polling. 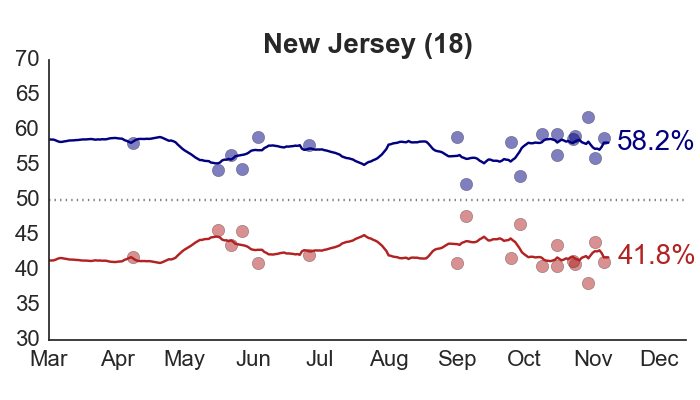 In fact, the next update is also going to incorporate some important new polls. 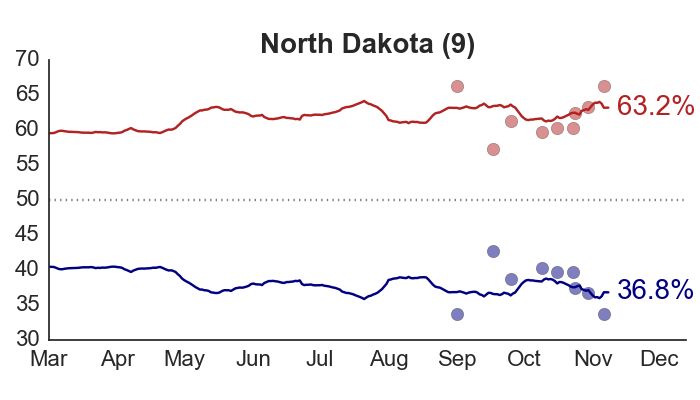 Two in particular stand out. 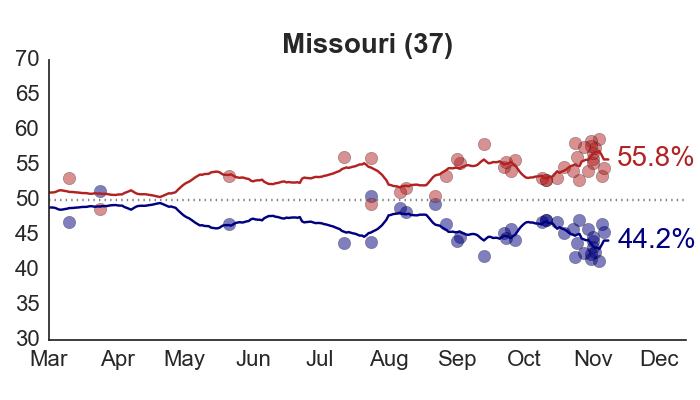 First, we get a long-awaited reading in highly-competitive Missouri. 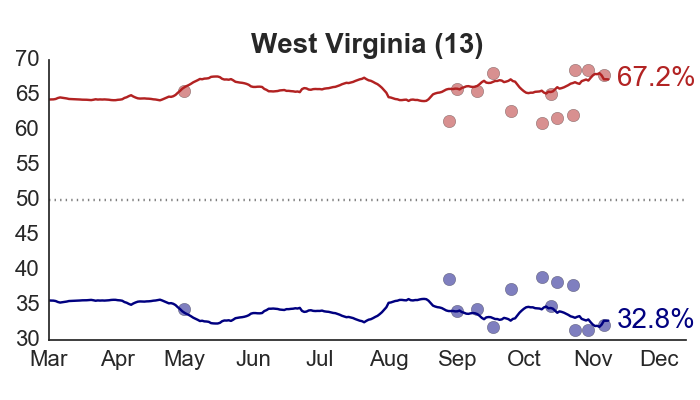 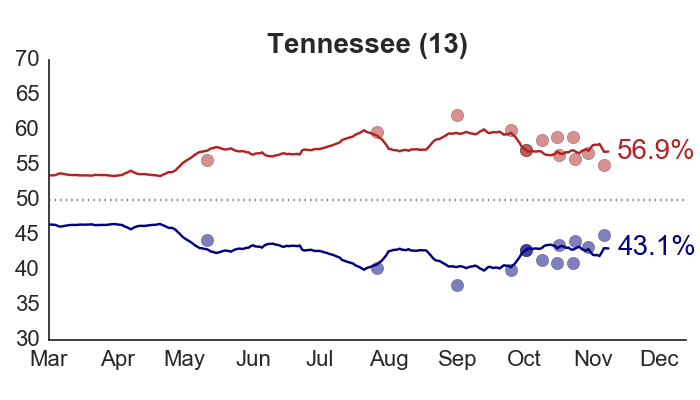 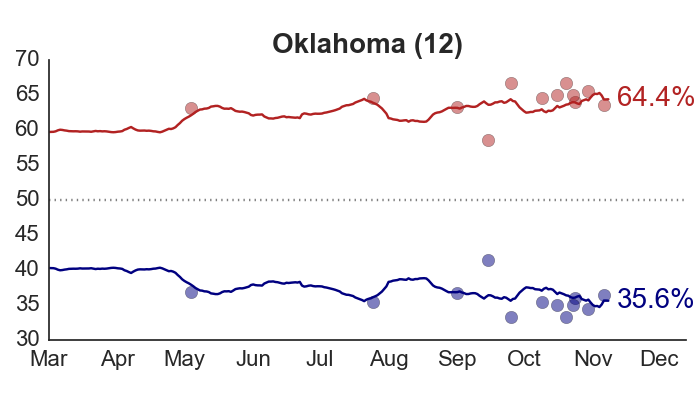 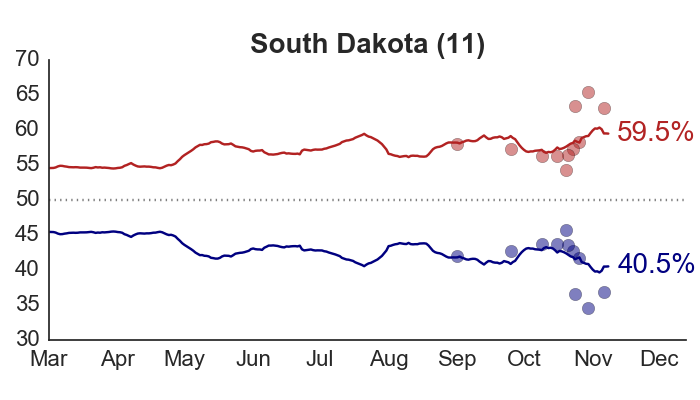 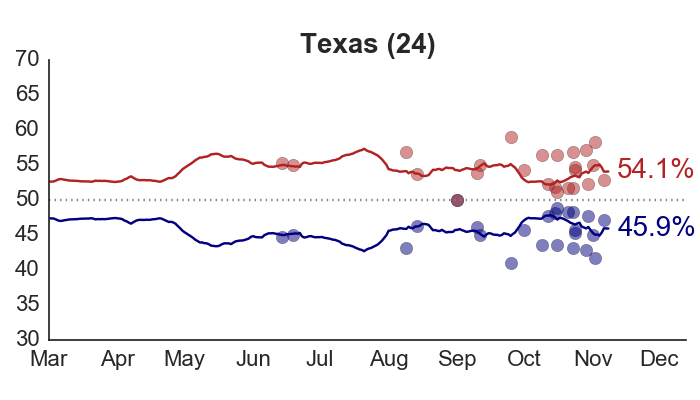 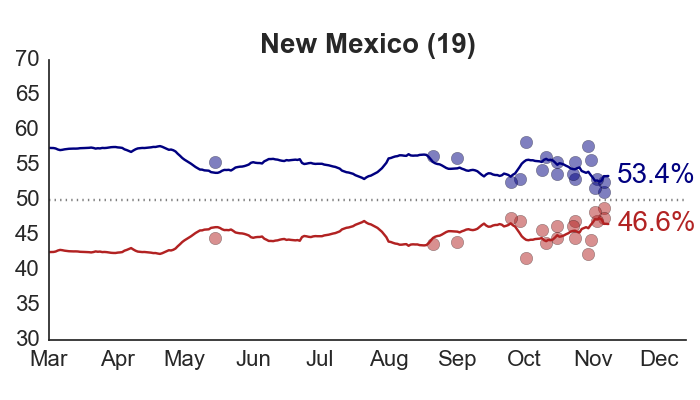 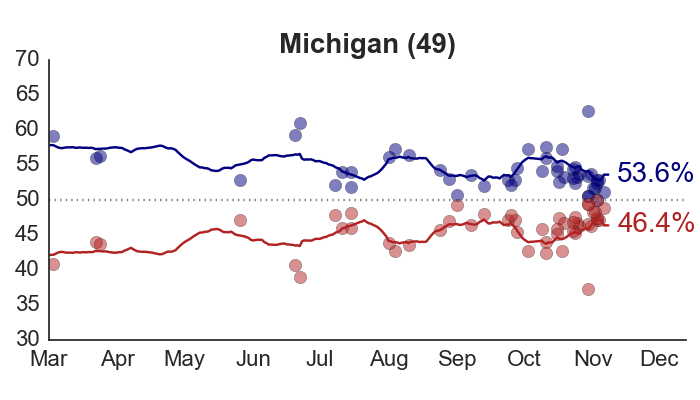 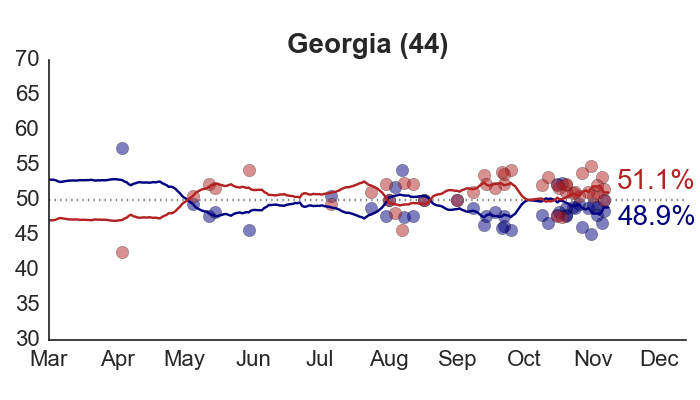 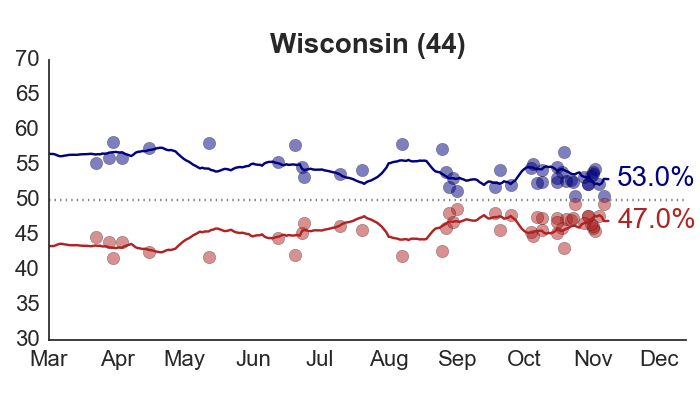 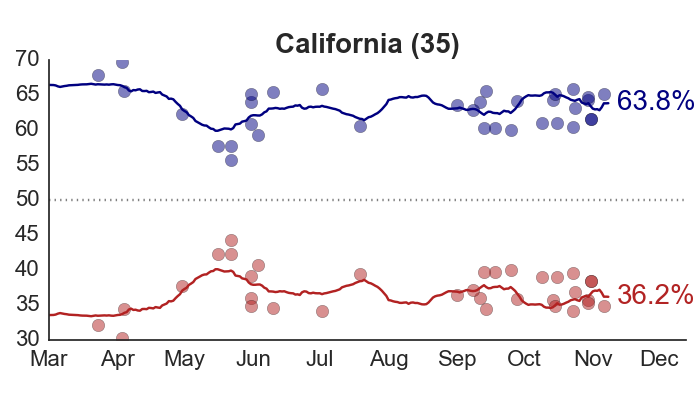 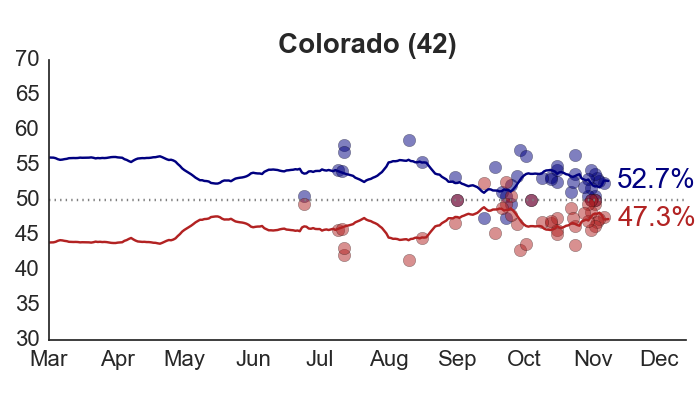 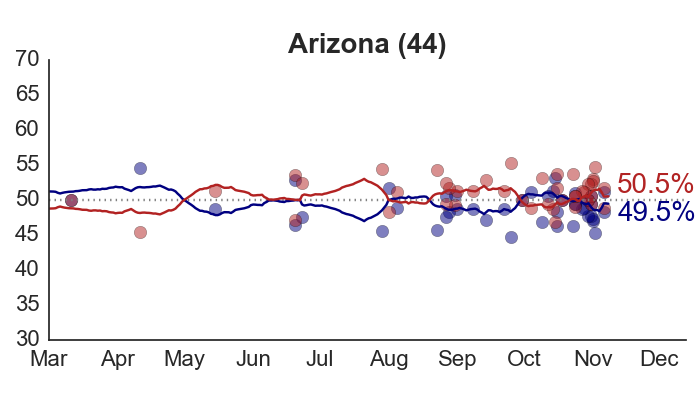 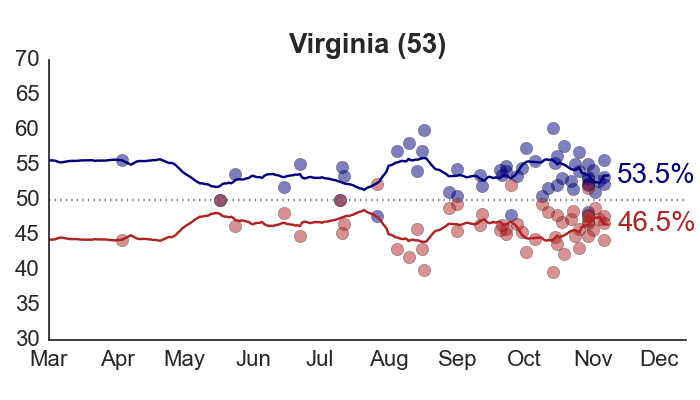 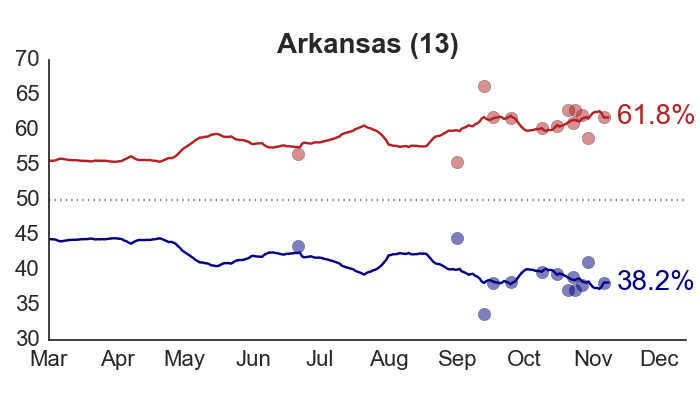 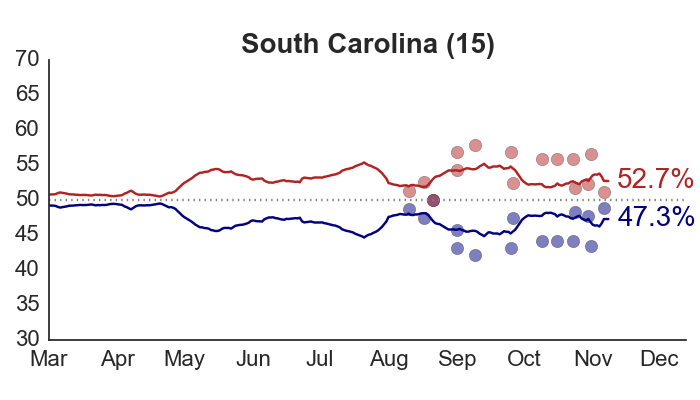 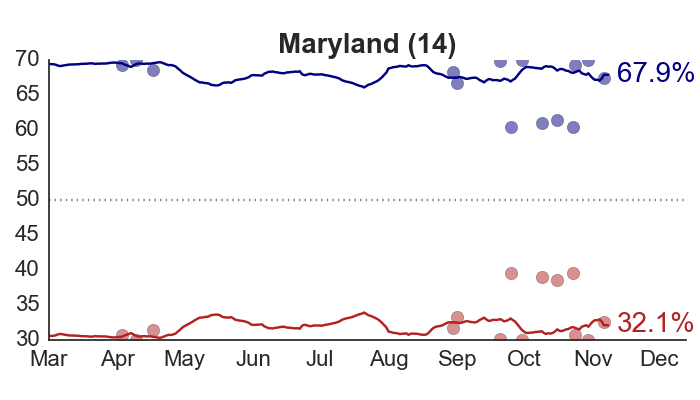 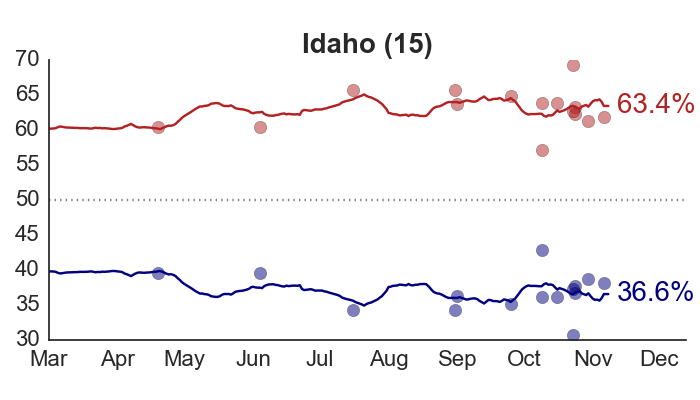 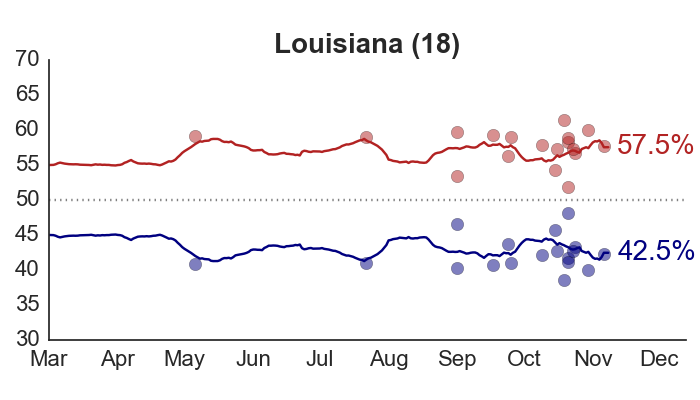 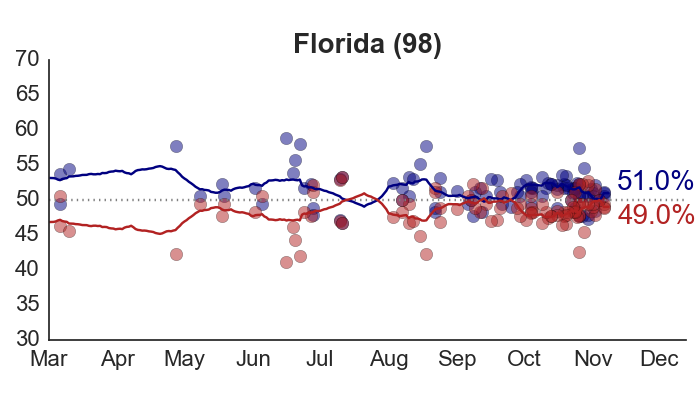 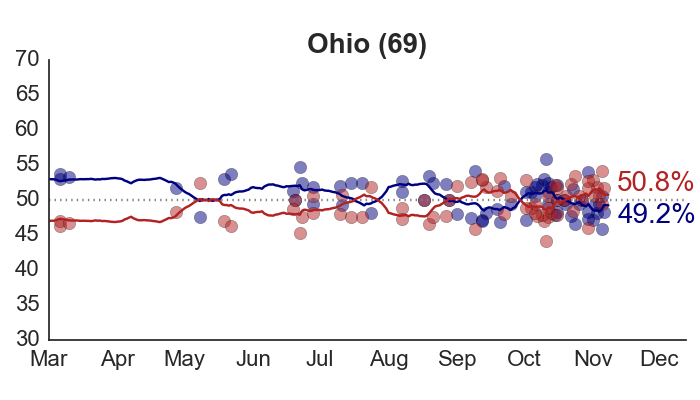 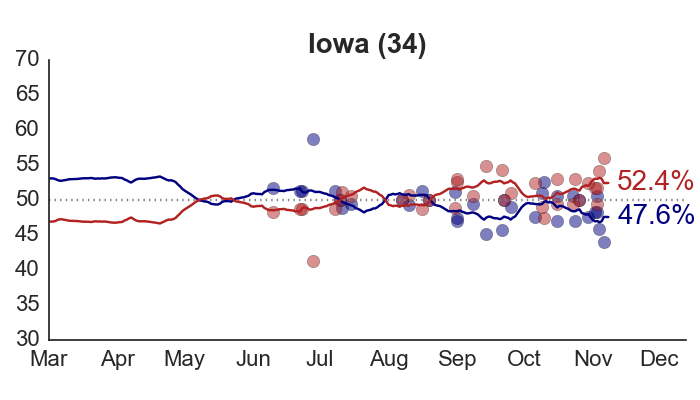 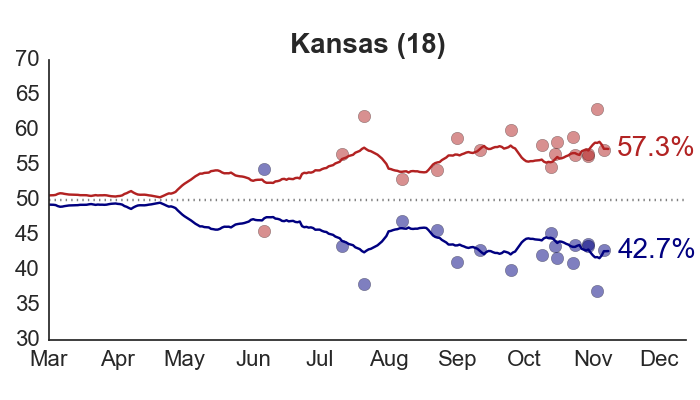 The last polls in that state were done in late May/early June, and suggested a slight Romney lead. 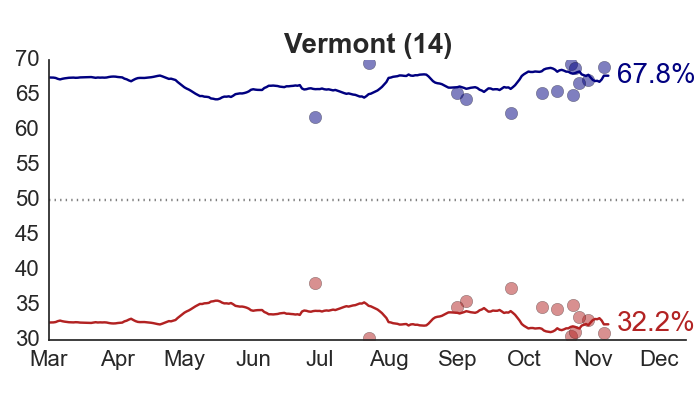 This latest survey indicates Romney is actually a few points farther ahead. 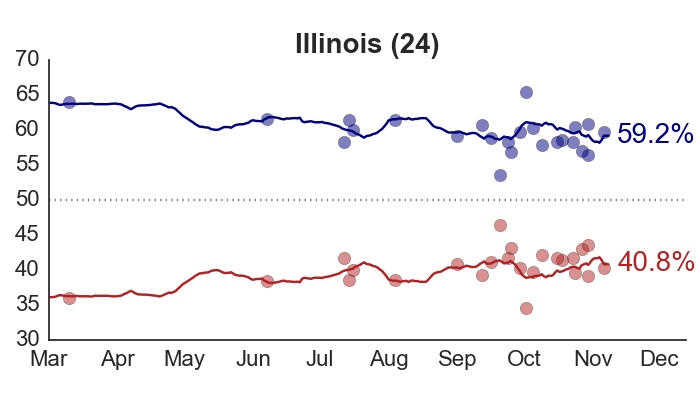 Second, a poll in Illinois corroborates expectations of a large Obama lead there. 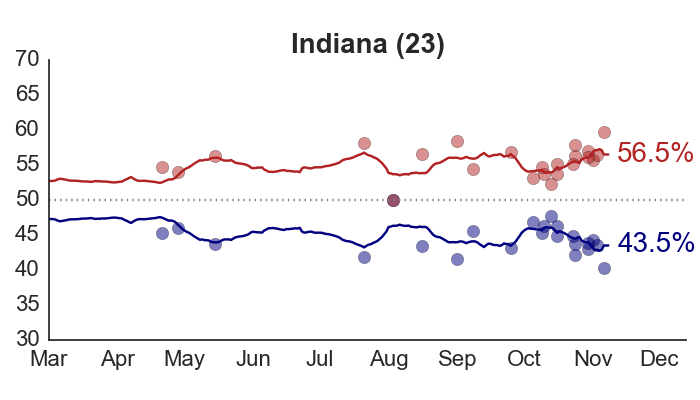 So even though the forecast in Illinois won’t change that much, our certainty in it will increase considerably. 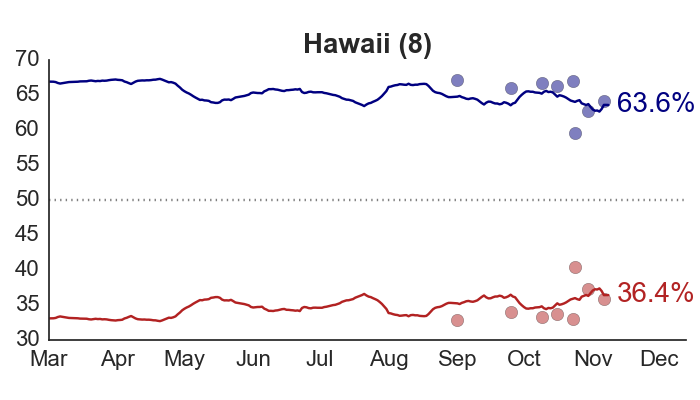 where Obama is sitting on 51%? 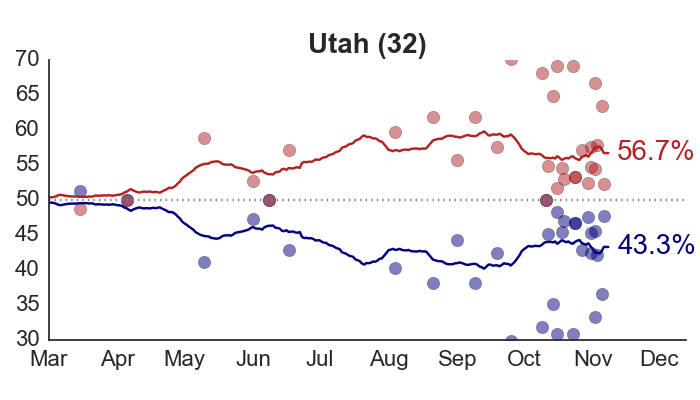 2) Do you plan on having a final popular vote projection? 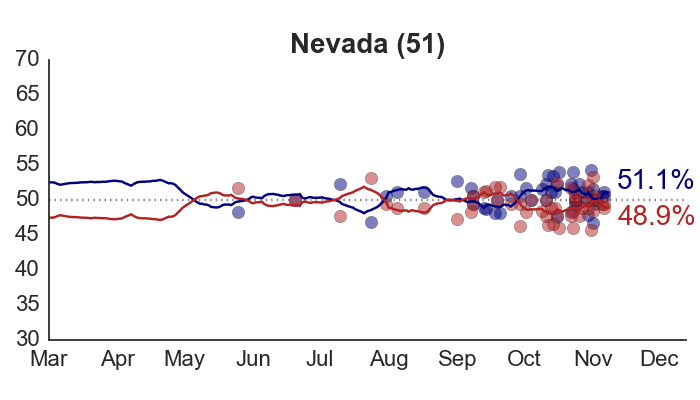 3) If yes, can you make the projection visible? 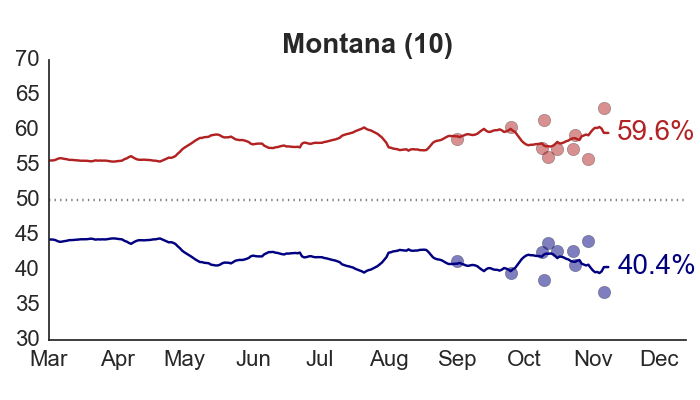 I’m using the old Time-for-Change model, which gives Obama a much larger baseline advantage than the new one. 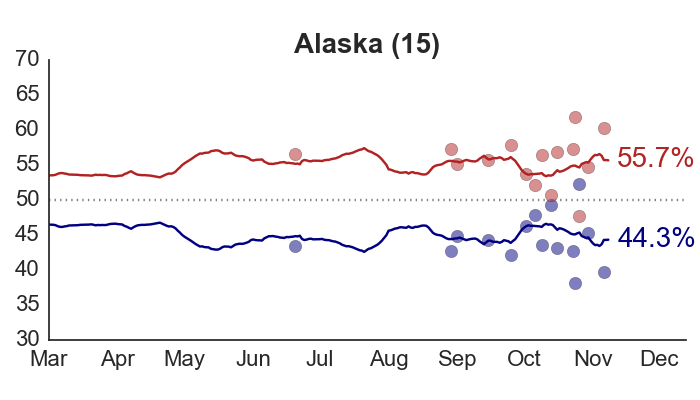 To a certain extent, it’s sort of an arbitrary choice, other than that the model worked well in the past. 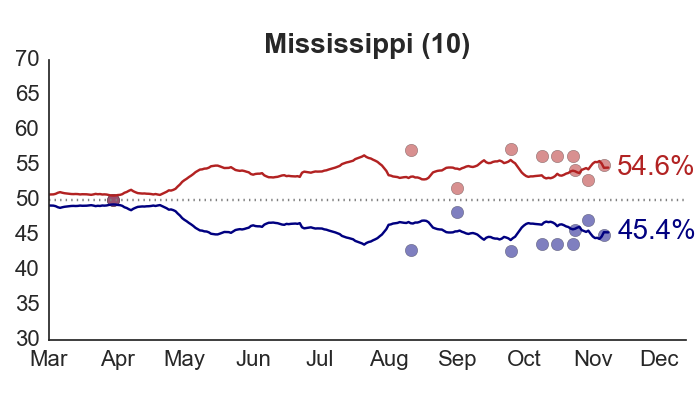 You could just as well feed the 51% forecast into my model, update from the current polls, and it would bring down the final forecast for Obama, as you’d expect. 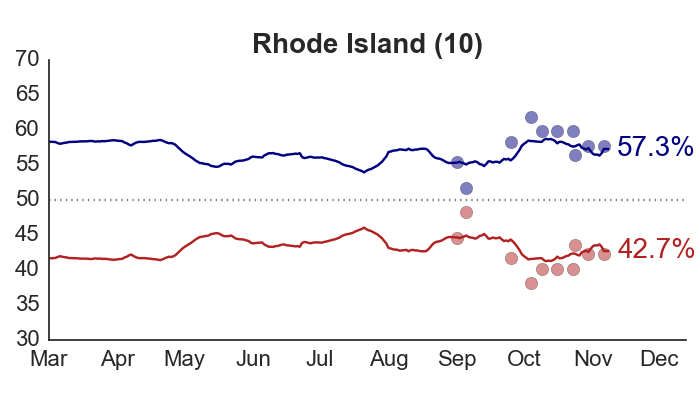 I haven’t considered doing a final popular vote projection, since that would mean making all sorts of guesses about state turnout that I’m not prepared to do!